I just sold my 2000 Boxster S, but have a few things laying around I did not put with car. Would rather they go to a good home. I have photos of all these, I'll try adding to the post when I get a chance or I can email them to you direct if interested. Payment through Apple Pay or PayPal. If you're in the Indianapolis area I'll deliver the item to you. Brand new windshield wipers - 996-628-901-08. $37 with free shipping. 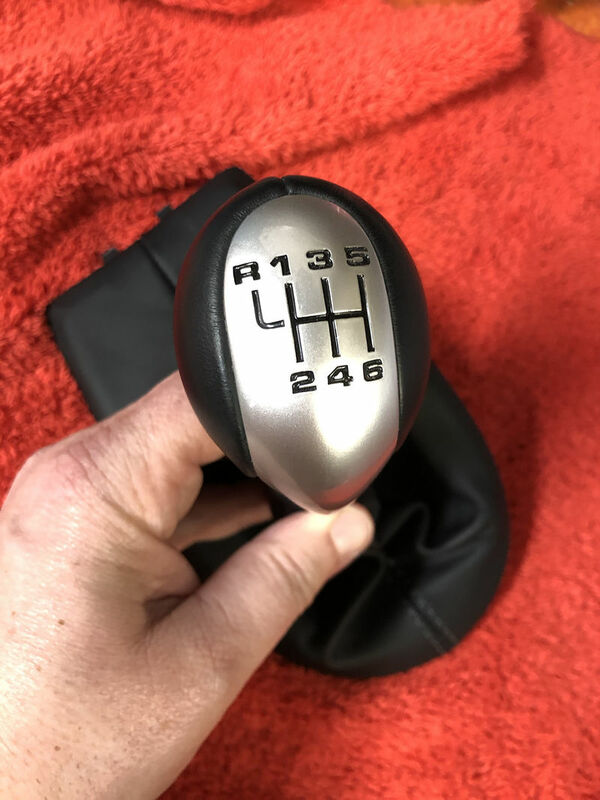 Porsche GT3 Shift Knob purchased new from Suncoast in August. Used on my car since then. In excellent shape, but the leather has worn in a bit around shift knob. $300 with free shipping. Wind deflector / center window. Used, but in good shape. I assume this is original to the car, but not positive. It came with the car when I bought it 3 years ago. $130 with free shipping. Last edited by rc_bxstr00; 03-29-2019 at 01:16 PM. I am interested in the brake ducts. What model of the power bleeder. I'm interested. Thank you. The "plastic nuts" (insert bad jokes here) are they the ones for the trunk and frunk liners or the wheel wells by any chance? If so, I will take them! Please let me know. I'll check the power bleeder model tonight and let you know. As for the "plastic nuts" questions, I haven't gone through them all yet, and I'm not sure what I have. I'll get the list put together and post here as soon as I can. Might be a day or two though. For those that pm'd me, I've responded there as well. Thanks! looking forward to seeing your list! Consider the bleeder sold. I'll connect with you again, soon, via PM. Thank you. It's yours Starter986. Send me a PM. I'll get it sent out tomorrow. did u sell those O2 sensors ?? flmont - the O2 sensors are available. PM your deets if you're interested. robdelorenzo - I pm'd you list of "plastic nuts". Let me know if you didn't get it. If you could message me what you have I may want them. JBauer - you're second in line. Gonna offer up the whole batch rather than try to piece it out. I'll PM you list so you can decide. As soon as I hear back from robdelorenzo I'll let you know what's up. note to self - think before posting anything about nuts.